Could you imagine having your destination wedding somewhere as dreamy, historic and beautiful as Mexico? Then we're here to help you narrow down your many options - you won't be able to resist hosting your wedding at one of these incredible locations! If you’re looking to host your destination wedding somewhere completely different from Canada, then there’s no better option than Mexico. Full of energy and life that is exclusive with its cultural history and combination of indigenous and colonizer heritage, there is an incomparable ambience that you won’t find anywhere else in the world. We can guarantee that once you’ve taken your first step into the country, you’ll never want to leave – so why not head down to Mexico for your big day? After reading about the luxurious Los Cabos, and the stunning San Miguel de Allende, nowhere else will be able to beat it! Make your wedding day the most special that it can be for you, your partner and your guests by going to Mexico. Discover Mexico for your wedding! Yucatán. Photo: Cristian Jesús Díaz Rosetto. Riviera Nayarit is situated on the 300 kilometer-long beach that adorns the Virgin Coast of the Pacific, and is made up of a mix of sea and mountains, beaches and forests, islands and marshlands, whales and tiny towns. Alongside its excellent location along the Mexican coast, the hospitality of the inhabitants of Riviera Nayarit has transformed it into one of the most attractive coasts in the world. This incredible place has gained attention in recent years for the beauty of its marshlands, wetlands, lakes, lagoons, towns and ecological reserves, which all evoke a very special sensation. The quality of its people, and the beauty of its sites will enchant you, and this combination also makes it perfect for your wedding. In Nayarit, you will find a place that fits all of your criteria and your wildest dreams, and one that can be absolved into any budget. Discover Riviera Nayarit for your wedding! Riviera Nayarit. Photo: Eva Sica. Located in the very south of Baja California, Los Cabos is one of the most significant tourist destinations in Mexico. Its mountainous desert – referred to as The End of the World – is known for being the last piece of land in the Peninsula of Baja California. Found amongst crystal waters and mountains, this place is completely unique. Its incredible natural wonders, cultural riches, and lively social life means it has become a tourist magnet. The beauty of its contrasts offers you a different experience that you will always remember. 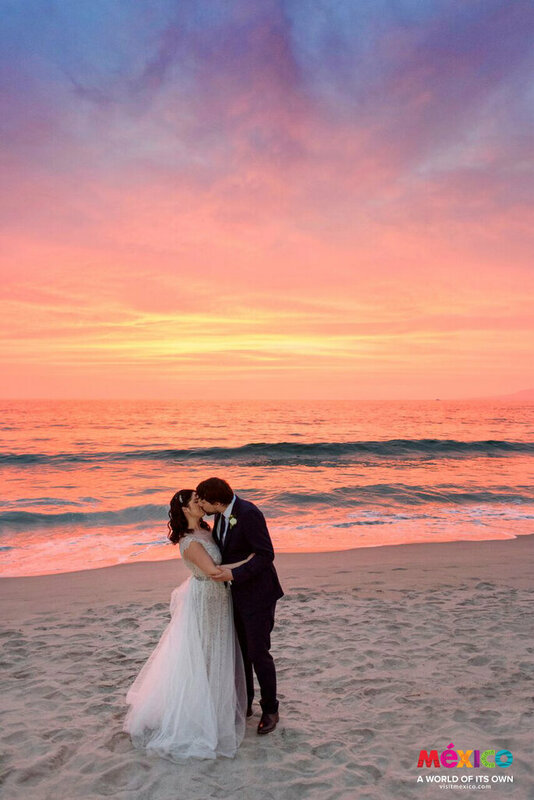 With the amount of offers and packages available for bridal couples, Los Cabos is the ideal place to have your wedding – one of its beaches is even known as Lovers Beach! Have your wedding in a town that is full of love and adventure. Discover Los Cabos for your wedding! Los Cabos. Photo: Julieta Amezcua. Veracruz has the most important commercial maritime port in Mexico. Its tropical climate will create an exotic ambience for your wedding day. This city, rich in history and culture, is known for having been founded by Hernán Cortés – it is this region of the country where the Spanish conquistadores landed. Its streets, landscape, forests, rivers and food will easily convince you that it is the perfect place. Don’t miss out out having the wedding of your dreams in a place that is as special and beautiful as this – you will surely fall in love all over again. Discover Veracruz for your wedding! In a world where there are few spaces of true tranquility, in Yucatán you will find one of the best. Its natural beauty will completely wow you, and is the ideal place for your intimate wedding. The marvels and mysteries of the Mayan world, alongside their traditions, customs and magical quality make Yucatán the place you have always dreamed of. Yucatán is home to one of the first civilizations on the continent, and a destination for millions of visitors every year. Its beaches and towns are full of colonial legends and treasures. In Yucatán you will also find Chichén Itzá – a World Heritage Site. 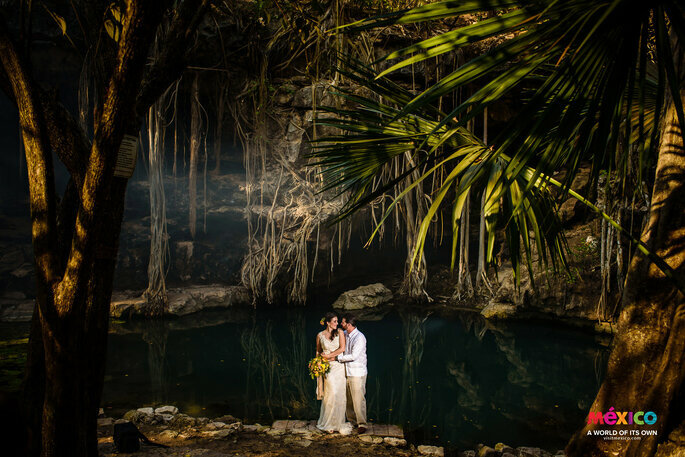 Embrace the natural wonder of Yucatán and have your wedding here! 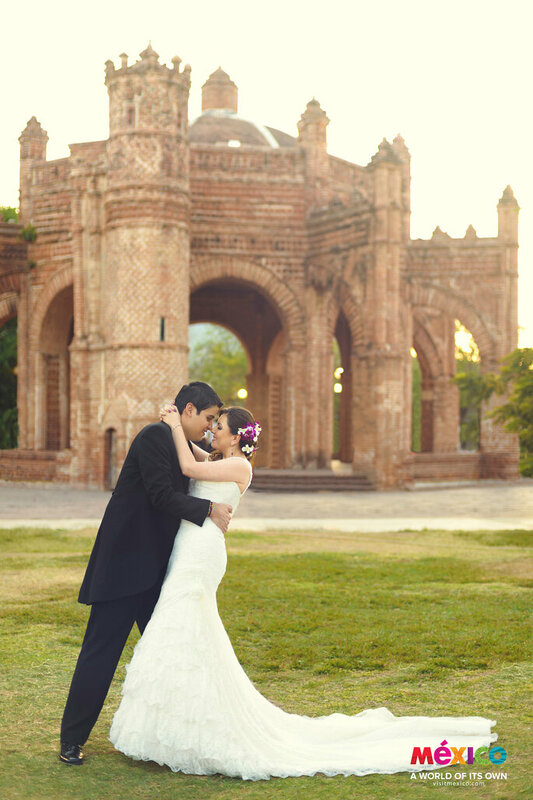 Discover Yucatán for your wedding! Yucatán. Photo: Felipe Gaber Díaz. San Miguel de Allende was recognised by UNESCO as a World Heritage Site for its huge variety of cultural events, traditional features and historic significance. With its amazing atmosphere, you will have an unforgettable experience for your wedding day here. Its streets are always lively and joyous, and particularly so for when there is a wedding in town! 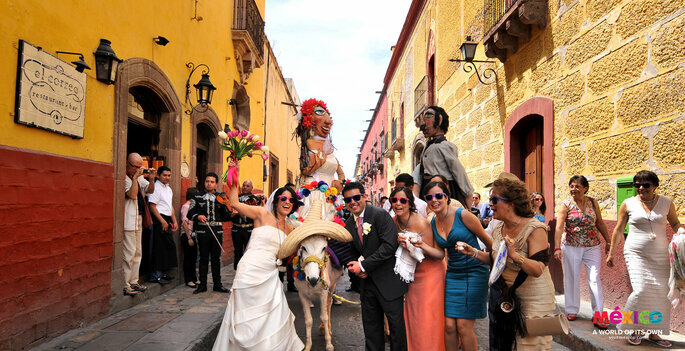 For weddings in San Miguel de Allende, it is customary for the wedding party to have a procession through the streets accompanied by “Mojigangas“, giant decorative puppets. In this magical town you will find everything you need for your perfect wedding day. Discover San Miguel for your wedding! San Miguel de Allende. Photo: Jonathan Hazael Mares. 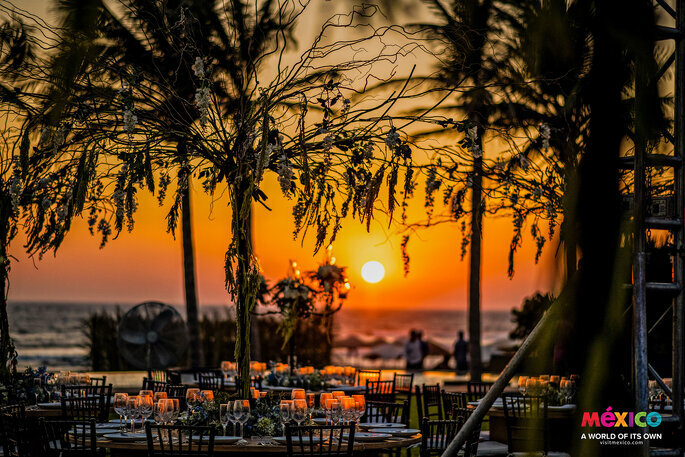 If you’re looking for a bohemian ambience for your wedding, in the state of Guerrero, located on the Pacific coast, you will find Ixtapa, Zihuantanejo. Its people, landscapes and food make it an exceptional place. Its beautiful beaches and paradaisacal twilights offer you a huge variety of locations to have your wedding somewhere truly special. There are also many hotels in the area, which have some of the best service in Mexico – ideal for your reception. 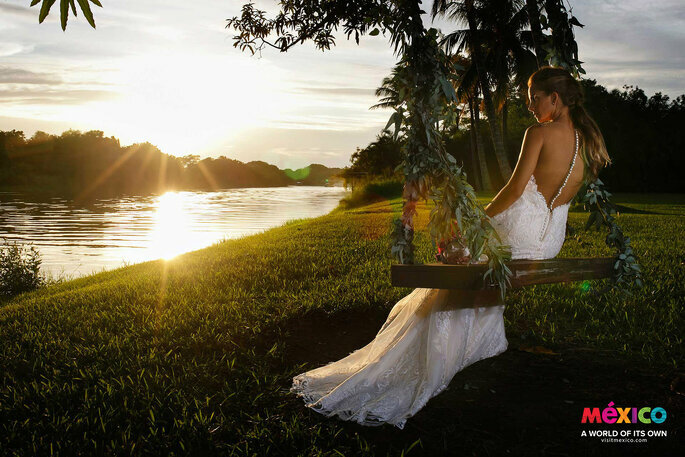 You won’t want to miss out on having the amazing Ixtapan sunset in the background of your wedding photos, so have a closer look now. 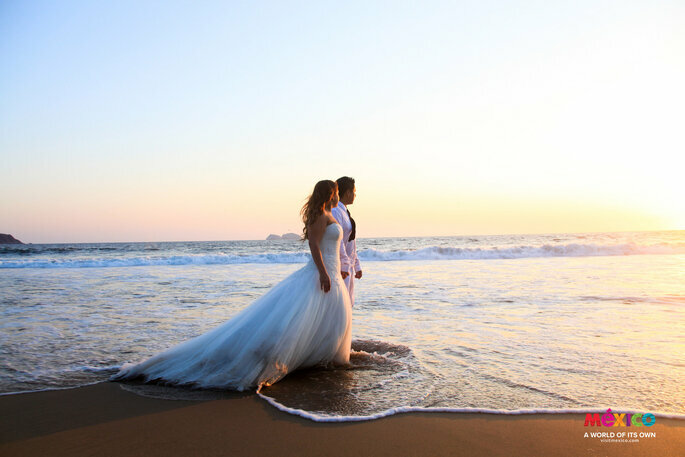 Discover Ixtapa for your wedding! Zacatecas is best known as the most romantic city in Mexico. Coming here will envelop you in an unique and unforgettable experience, and this city has many features and characteristics that will make it perfect for your wedding day. Located in the centre of Mexico, Zacatecas is one of the places with most European influence, and its streets and open spaces are wonderfully designed. Its museums, buildings, mansions, hotels, gardens and vineyards will offer you some amazing options for your ceremony. Live and love in Zacatecas underneath the most brilliantly-blue skies in Mexico, the most starry night skies, and the most startlingly-beautiful sunsets. 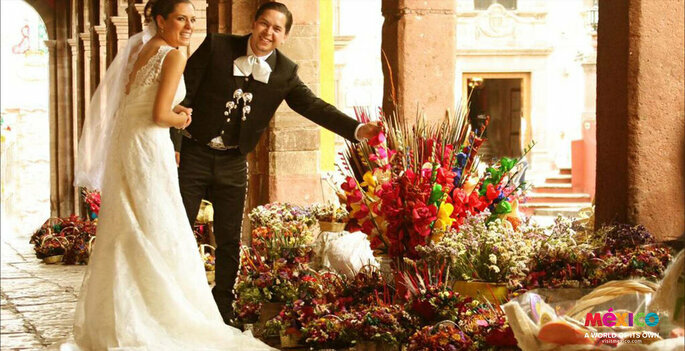 Discover Zacatecas for your wedding! Found in the south-east of the country, Chiapas is very memorable as a result of just how picturesque it is. Chiapas is the past and the future of Mexico – it has fascinating pre-Hispanic qualities, but new innovative features too. It is naturally attractive, with rich countryside views. From the coast to the mountains to the beaches and the rainforests, this place is home to much cultural and artistic wealth. Chiapas is a state that is full of culture, and is rich in gastronomy and tradition. It has to be one of the most magical places to get married – you and your partner will feel like you are in one of the most romantic places in the world due to its natural reserves. 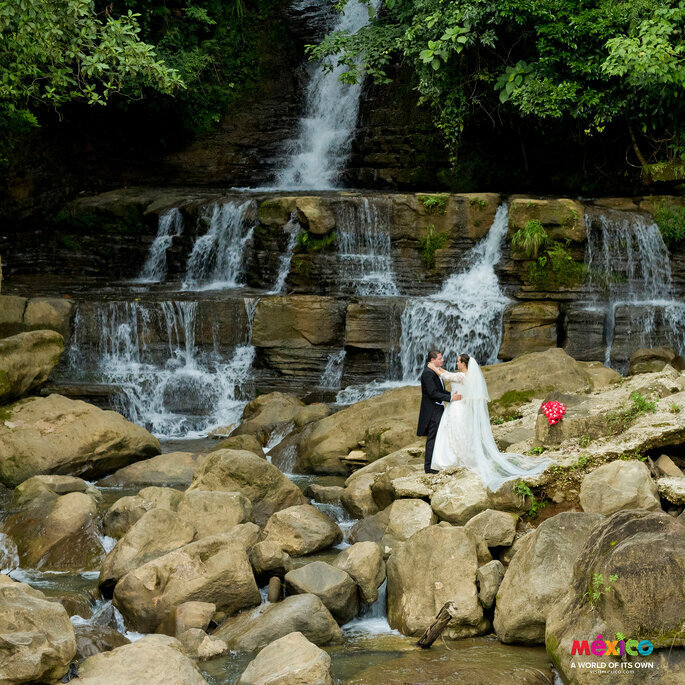 Discover its beautiful natural landscape, and you won’t be able to say no to having your wedding in Chiapas. Discover Chiapas for your wedding! Chiapas. Photo: Ramiro Montes de Oca. The Riviera Maya is a magical place full of ecological hotspots, archaeological sites and stunning beaches. It is a veritable treasure, extending from the Yucatán peninsula to Honduras. This incredible place has everything, but beyond that, it has some idyllic spots to celebrate your eternal love. Its beaches would be the ideal background for your wedding day, particularly with the contrast between its deep blue sea and pastel red sunset. Cozumel and Cancún are famous for their coral reefs, marine diversity and the clarity of their waters. Additionally, their natural features are enhanced by the impressive hotel infrastructure that exists, with the capacity to host any type or size event. Find out more so that you can hold your beautiful beachside ceremony here. Discover Riviera Maya for your wedding! Riviera Maya. Photo: Alan Fressnel. Found in the east region of Mexico, Hidalgo is a historic town, rich in architecture, history and tradition, with an atmosphere that is completely authentic. It is a place that is surrounded by adventure, from its small towns to its countryside paths. The state of Hidalgo is one of the richest and most varied as a result of its diverse climate and artistic history which stretches from the prehispanic era to the modern day, with impressive indigenous traditions and foods for you to try. Its symbolic history, legends and stories create a space that is completely separate from the rest of the world – and one in which you can carve out your own space away from the hustle and bustle of daily life. There could be no place more original for your wedding abroad. Discover Hidalgo for your wedding! A colonial capital brimming with enclosed and secret corners where the most intimate love stories were born, Guanajuato is full of romantic history. However, it is also home to the fighting spirit of the Mexican people that was seen most vividly during the Civil War, and stands as a witness to cultural history. With its gardens, hotels and buildings, Guanajuato is the ideal place for your wedding. Additionally, you could also do a guided tour of the entire city, learning from the singing tour guides about the legends and history of the city – and after, you can also seal your love with a kiss at the infamous Callejón del Beso. Your wedding is sure to be very special in this place, so learn more about the offers available in Guanajuato for you and your partner. 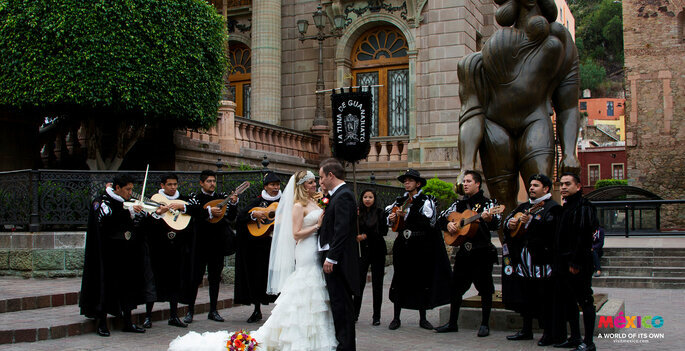 Discover Guanajuato for your wedding! Guanajuato. Photo: Jonathan Hazael Mares. A picturesque paradise, Puerto Vallarta has long been growing and transforming into a huge city full of hotels, restaurants, and many activities to do and places to see. With this traditional Mexican essence, its streets and spaces have become some of the most enigmatic destinations for your wedding. 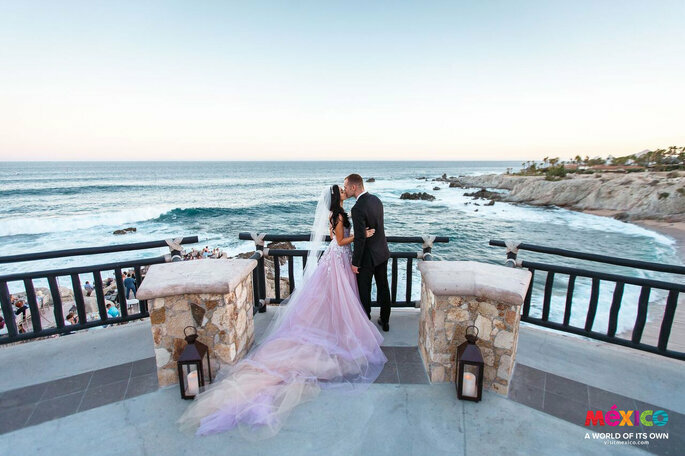 The views of its beaches and horizons are truly magnificent, and are exactly what you are looking for when you dream of your perfect seaside ceremony. Learn more about the offers that its variety of hotels have now, because, with its colors, customs and culinary conquests, Puerto Vallarta has to be one of the best options not just in Mexico but the world for your destination wedding. Discover Puerto Vallarta for your wedding! Puerto Vallarta. Photo: Diana Flores. Acapulco is one of the most famous destinations in Mexico, and worldwide. With its beautiful environment, tropical climate, warm and friendly people and attractive beaches, it has become one of the most desirable bays in Mexico. For many years, the town has been growing, extending from being just a collection of beaches (gorgeous ones nonetheless!) to a flourishing city. Acapulco is known for being one of the most beautiful places in Mexico, where couples come to fall even more in love – as such, there are always great options available for your wedding day. Learn more about what is available, but we can guarantee that you’ll find somewhere that you absolutely adore – just try to not fall more in love with the town than your partner! Discover Acapulco for your wedding! A colonial town, and one of the best places in Mexico for wine, Querétaro is a magical town full of incredible attractions. It is one of the most visited states in the country. Querétaro has been witness to some of the most important events in the history of Mexico, and nowadays is one of the most dynamic areas of the country, with high levels of development, and a great quality of life. 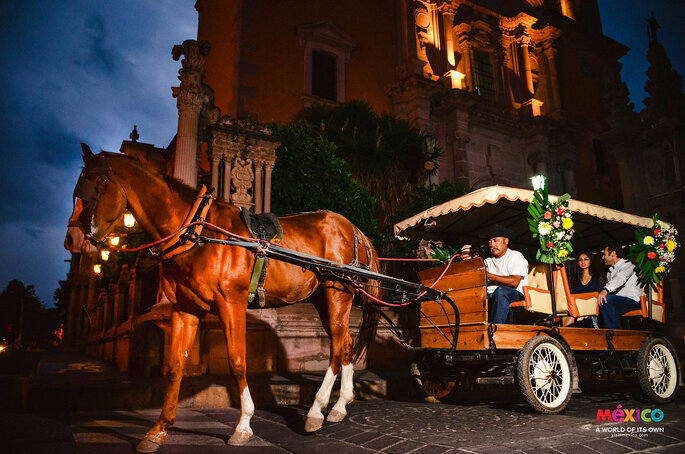 With a huge sense of natural beauty, historical significance, and a cultural sector that never sleeps, Querétaro is perfect for your big day. Get to know more about the variety of places and features you could have so that your ceremony is simply amazing. 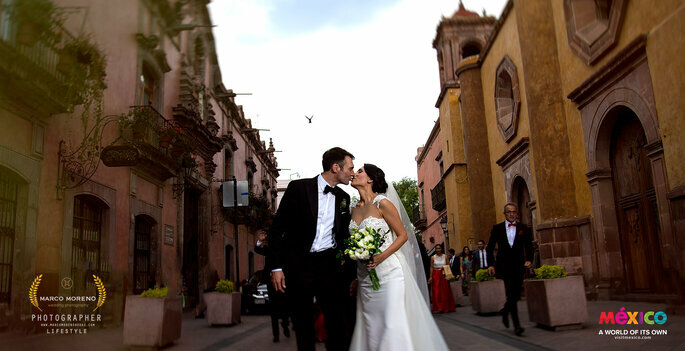 Discover Querétaro for your wedding! Tlaxcala is one of the cities that is most brimming with tradition in Mexico. Found in a valley, and surrounded by nature, it is a place that is full of artistic colonial history, and the beauty of its buildings and structures has converted it into a hub for some of the richest and most harmonious relations in the country. With its strong indigenous influence, there is a cultural mix of prehispanic towns and the Spanish conquistador settlements. The impact of the colonial era can be seen everywhere you look, as it defined much of the design of the city. Tlaxcala’s humid climate, natural beauty and cultural and historic status make it one of the most perfect places for your wedding day. For more information on this incredible place, click the link below and find out about its potential for you and your partner. 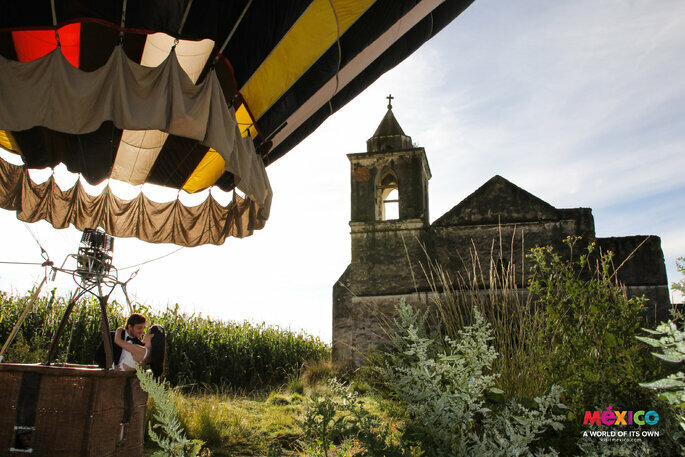 Discover Tlaxcala for your wedding! Alongside Acapulco and Ixtapa, Taxco is one of the principle tourist centers of the state of Guerrero. The three form the Triangle of Sun, a Mexican paradise. Known as the City of Light, it is a truly magical town, and rich with natural minerals. Its cobbled streets, alleys and squares barely scratch the surface of how important this place is as a historical monument. Surrounded by beautiful mountains and hills, it is a place that attracts visitors who always just fall head over heels for the views and people. Taxco could be the best witness to the love between you and your partner for your big day, and an ideal venue for your big day. 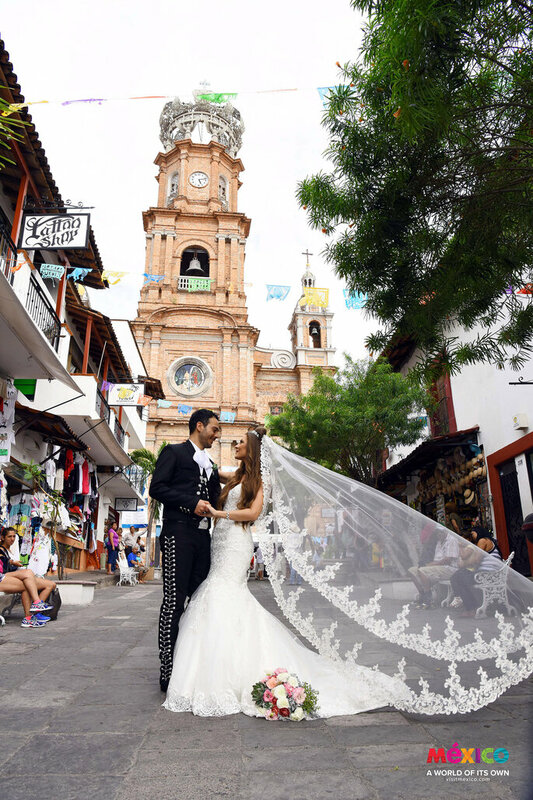 Discover Taxco for your wedding! Taxco. Photo: Juan Ramón Brito Cuevas. 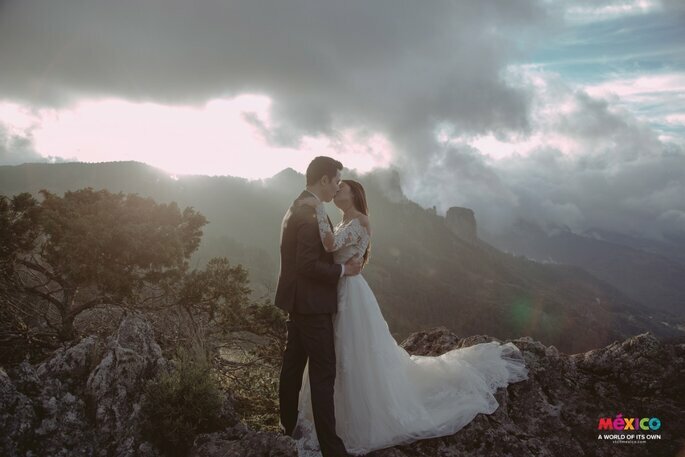 Your wedding is one of the most important days of your life, and so make it even more unforgettable by having it in one of the most beautiful places in Mexico. Its wealth of symbols, stories, history, and transcendent natural beauty makes it an unmissable option for your consideration – discover the magic of every one of these places, and you won’t be able to resist! Discover the best wedding photographers for your destination wedding! 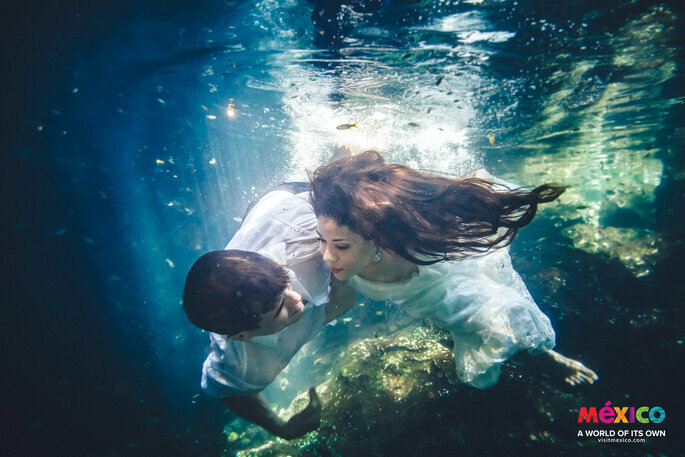 We bring you a selection of Canada's most talented photographers who are sure to capture breathtaking shots, wherever in the world you may be tying the knot. 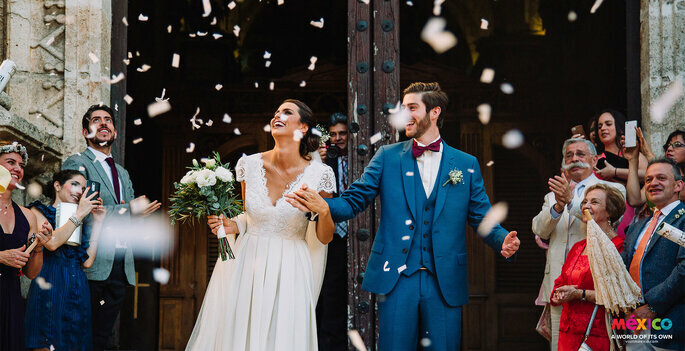 Barcelona Weddings, by Turisme de Barcelona, offers you a wealth of options to enjoy a high-quality wedding in the Catalan capital!